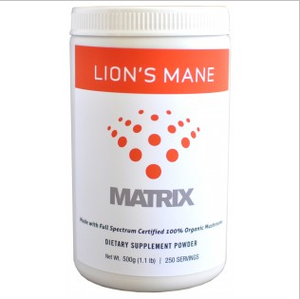 Lions Mane by Equine Matrix is the single mushroom species Hericium Erinaceaus. Lions Mane has been reported in many studies to help stimulate the Nerve Growth Factor (NGF). A natural protein that supports the growth and normal function of nerve cells. Also supports digestive health. Reported in many studies to stimulate the synthesis of nerve growth factor (NGF), a protein that promotes the growth and normal function of nerve cells. NGF is important for cognitive and neurological health.